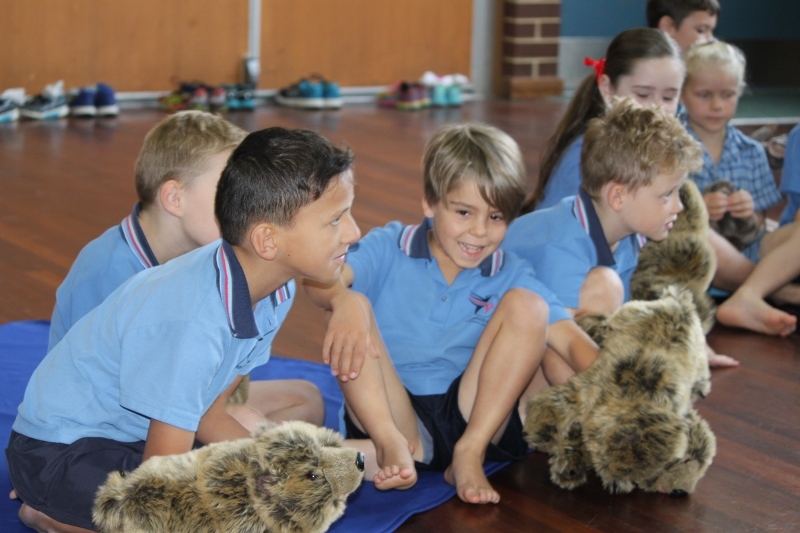 The Wild Primary Adventure Series has been developed to bring key areas of the Social Emotional Learning program (CASEL) into the classroom using a relatable character, Seal. 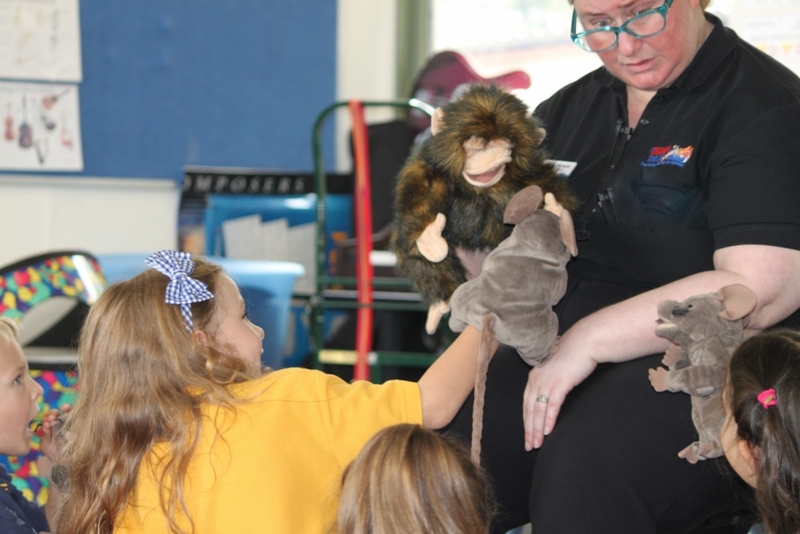 The sessions have been developed to give children the opportunity to journey along with Seal and her puppet friends, learning self-awareness, social awareness and social decision-making skills to build resilience and perseverance. Seal is new to Wild Primary and this series of incursions follow her and her new friends and the adventures they have together. 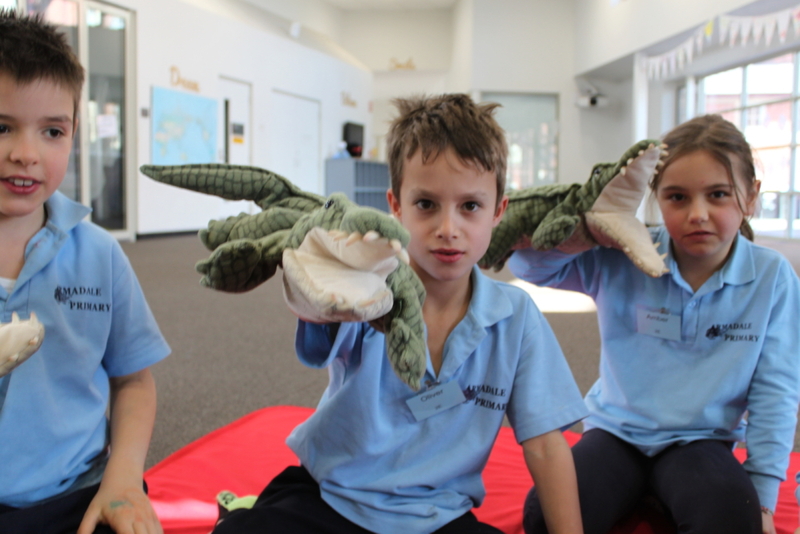 During the sessions children will enter the imaginary world of Wild Primary and using puppets, dramatic skills and visualisation techniques develop growth mindset skills and reflective and mindfulness practices in an engaging and active learning environment. This series introduces the children to the key characters starting at Wild Primary School and sets the scene for examining self-awareness and social management. 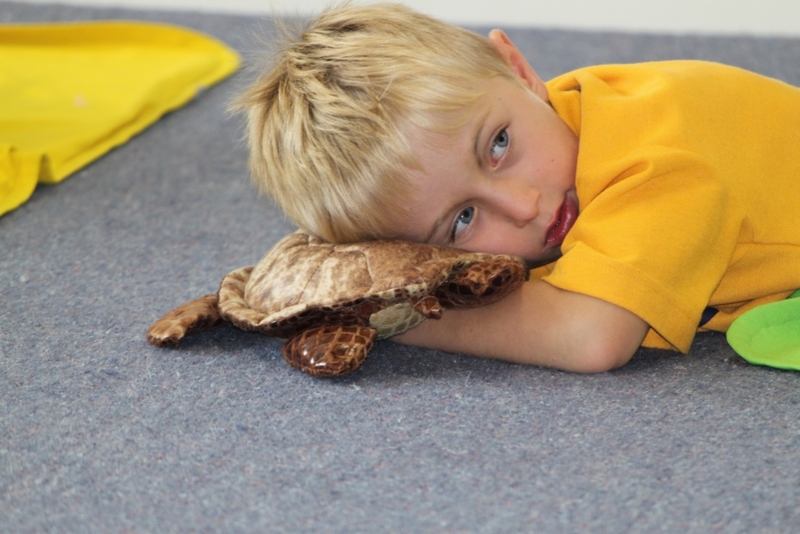 Seal is the new kid at Wild Primary and it’s her first day learning how to fit into her new environment. Seal wants to make friends with the other animals but it seems like everything she does is going wrong! Seal is feeling very sad until the kind turtles decide to help her communicate with the other animals about how they can work and play together. Primary Focus: Anxiety associated with starting school. This lesson sets the scene of the Seal Program and is a required lesson for all students participating. This lesson is also available as a stand alone lesson. 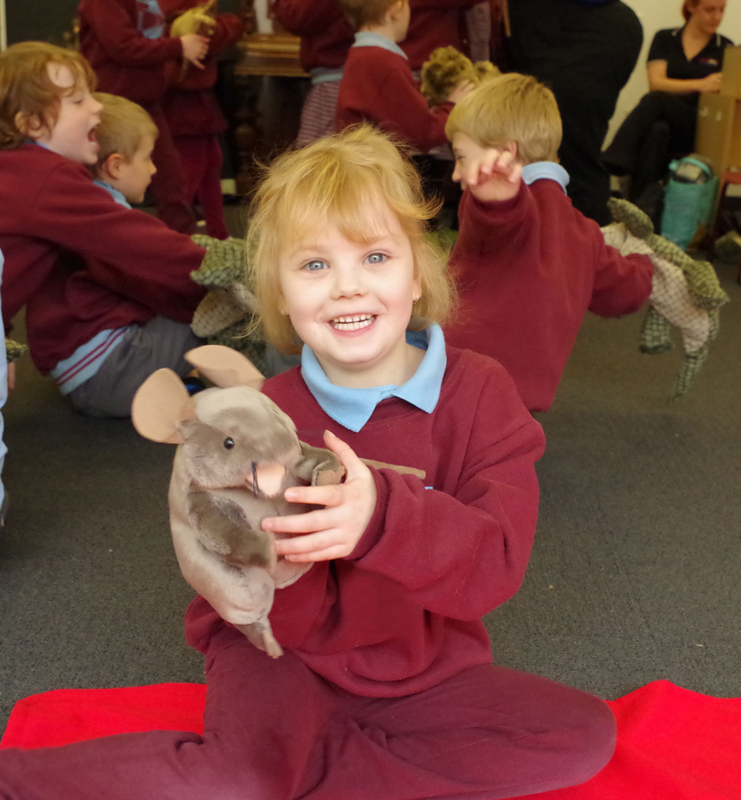 Seal is excited to go on her first excursion at Wild Primary. 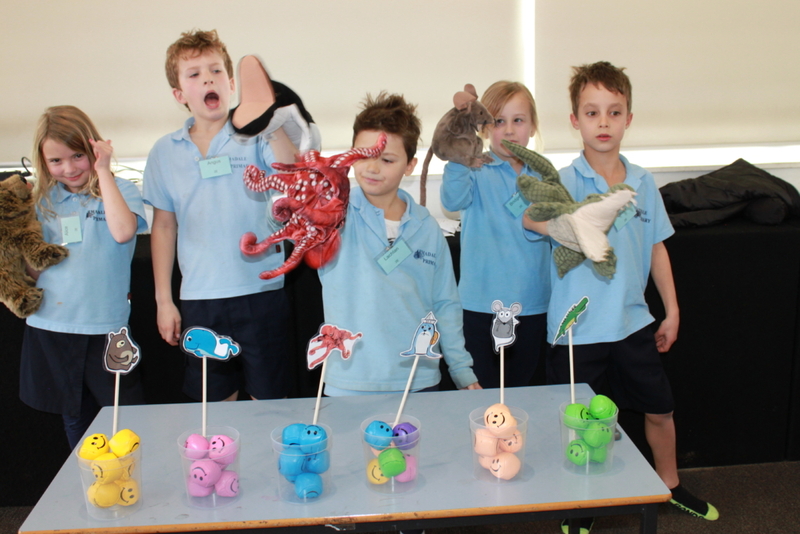 Some of the other animals aren’t quite as excited and some are a little overexcited! Now it’s Seal’s turn to help her friends practice their social management skills as they head off to Adventure Island. Primary Focus: Leadership and working as a team. 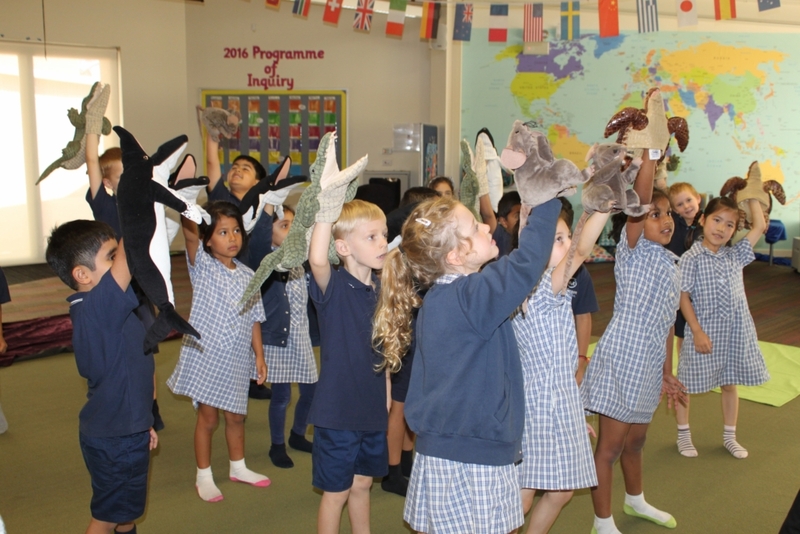 The Wild Primary animals have arrived on Adventure Island! Seal and her animal friends will be challenged by obstacles as they identify some of their strengths and weaknesses, leading to greater self-awareness. Primary Focus: Mindfulness and recognition of emotions. The Wild Primary animals have discovered their belongings have disappeared on Adventure Island! Who could be responsible? At first the friends are angry and upset and start arguing about who is to blame but then they remember about what they have learned about working together and managing themselves. Primary Focus: Resilience and growth mindset. The Wild Primary animals have made a new friend, Chimp, who is facing similar challenges that our friends have been exploring on their adventures. Now it’s the animals turn to use their new skills and help someone else. There are two rotating series, the “Facing our Feelings” series and the “Filling Our Bucket” series, each include 5 lessons. The “Facing Our Feelings” series is provided even years (2018/2020) and the “Filling Our Buckets” series odd years (2019/2021). Both series reinforce SEL concepts and can be run in any order. Lessons in both series will be the same for year 1’s and 2’s. Classes new to the Seal Program are required to run Lesson 1 from the “Introduction To Wild Primary Series”. The Turtles have left in their annual migration and we meet a new group of friends. The new students are strong and clever and seem very confident, but will they be good friends? Will they be open to new ideas? How will their attitudes and ideas change and grow? The animal friends will learn about ‘Bucket Filling’ as a method of caring for selves and others. What does each animal need to fill their bucket? Primary Focus: Appreciating diverse perspectives. The animal friends are looking forward to the School Games Day. The activities will be challenging as well as fun, but how confident and enthusiastic will the friends be about trying new things? Working in a team can be fun and supportive, but it can also be a potential source of conflict and stress. Who will work easily with others and who will fins it a challenge? Will everyone know how to be a ‘good sport’? What does it mean to be a good sport? 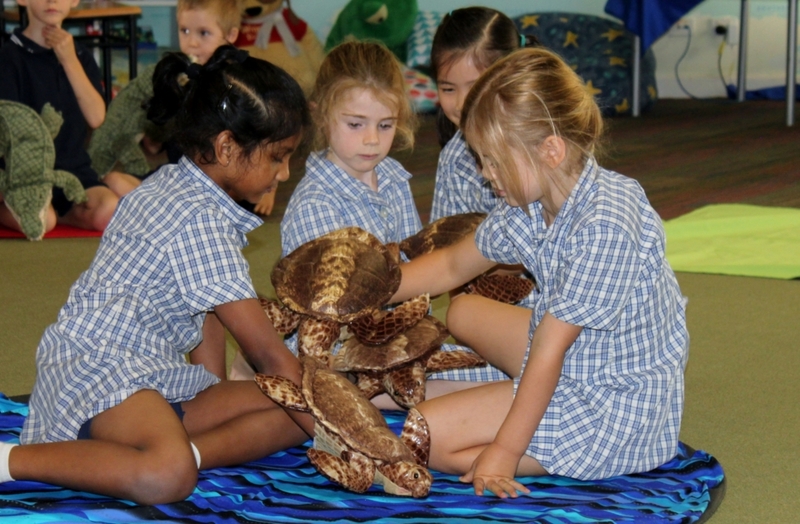 The Octopods have been learning about how to be Bucket Fillers, but the lessons are put to the test when they build a cool cubby and have a new ‘must-have’ accessory. The Octopods promise to share, but only in exchange for treasures. Will they keep their promise? 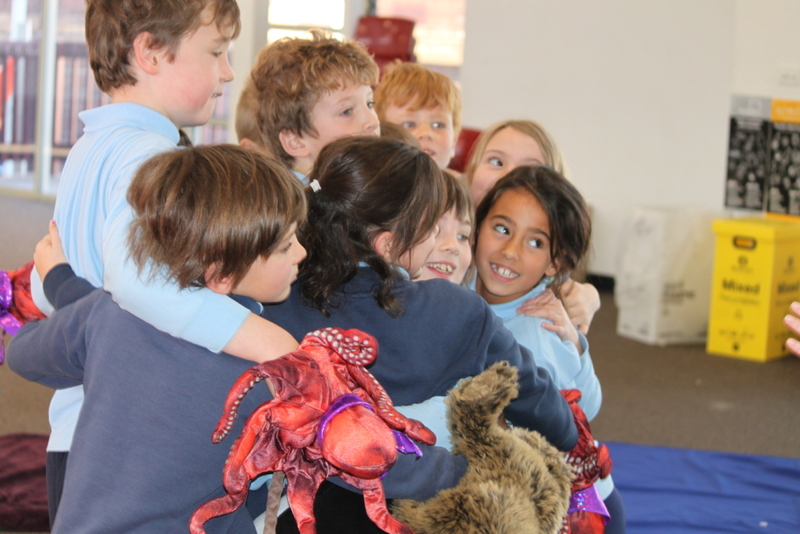 How will the Wild Primary friends manage the demands of the Octopods? Chimp has taken a shine to the new kids and wants to do everything that they do. following them around and never leaving them alone. The new kids are not interested in Chimp, she’s just a little kids and can’t keep up with them. So annoying! How will the big kids manage this problem? Will they be kind? 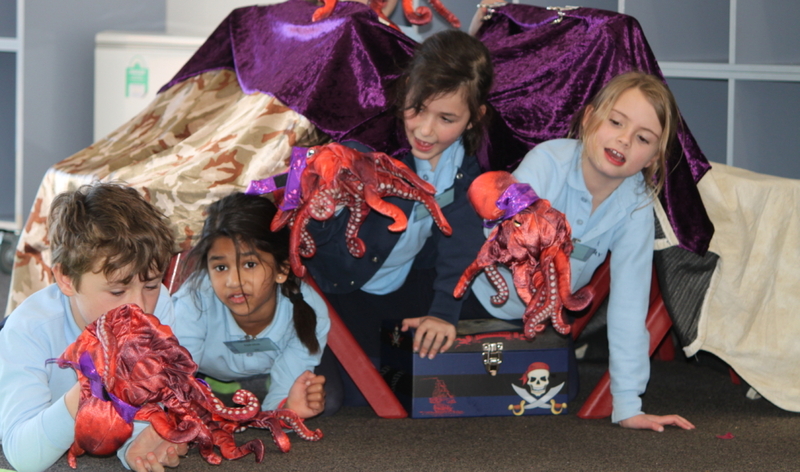 The Octopods have learned so much about being Bucket Fillers since arriving at Wild Primary! They have asked the animal friends to help them plan a party and everyone is invited and excited! The friends are keen to help, but thinking about different aspects of the party leads to feelings of anxiety. How will the friends manage their feelings and refill their buckets? There are two rotating series, the “Facing our Feelings” series and the “Filling Our Bucket” series, each include 5 lessons. The “Facing Our Feelings” series is provided even years (2018/2020) and the “Filling Our Buckets” series odd years (2019/2021). Both series reinforce SEL concepts and can be run in any order. Lessons in both series will be the same for year 1’s and 2’s. Classes new to the Seal Program are required to run Lesson 1 from the “Introduction To Wild Primary”series”. 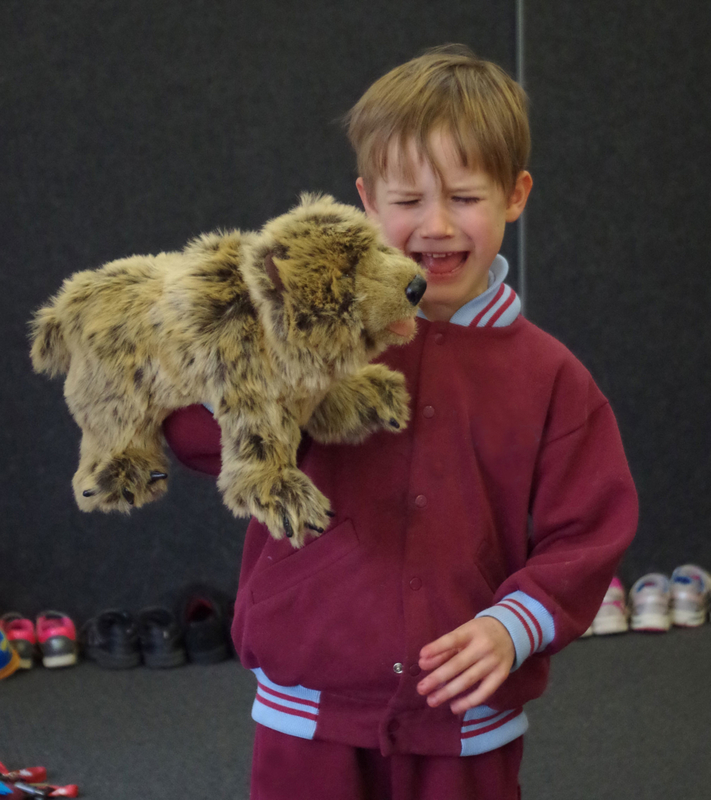 The newest and youngest student at Wild Primary is up to some cheeky tricks. Chimp loves to have fun and has come up with some tricks and jokes which she thinks are hilarious! Unfortunately, some of her friends don’t see the jokes in the same way and they help Chimp to understand how they are feeling. Primary Focus: Considering the feelings of others. The Bears are feeling left out and go off in search of a special friend of their own. On their journey the Bears will remember their special talents. The other animals are concerned that the Bears are missing and start to search for clues to find them. A new found friend shares some interesting ideas. Primary Focus: It’s OK to be different. New friend Owl is coming to Wild Primary. To help Owl feel at home, the friends will help create a welcoming environment. Owl is a very different animal with very different needs. The friends will need to practice their skills of empathy and compromise. Primary Focus: Belonging and including others. Strange rumours and wild accusations are swirling around Wild Primary! The mice are feeling jealous of the time and attention being given to exchange student Owl. Poor Owl has no idea that the Mice are so upset and is confused by the behaviour of some of her new friends. Will the friends remember Stop, Think and Breathe? Will they remember to ask for help? Primary Focus: Conflict resolution strategies. The Wild Primary friends are very excited to attend the school fun fair! The animals are looking forward to trying activities such as dodgem cars, a roller coaster and even the Tunnel of Terror! However, when it is time to actually participate, some of the animals start to feel less excited and more angry, anxious and pressured. 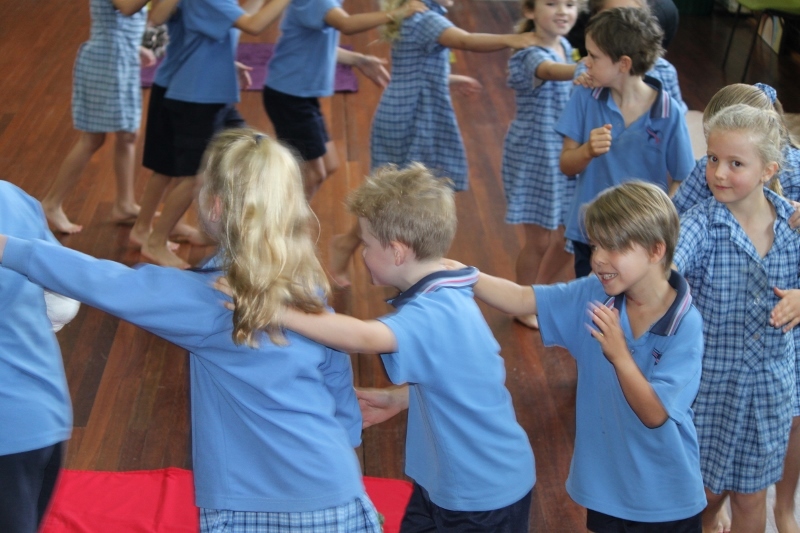 Primary Focus: Self-awareness, Emotional reactions and management strategies including “Stop, Think and Breathe”. 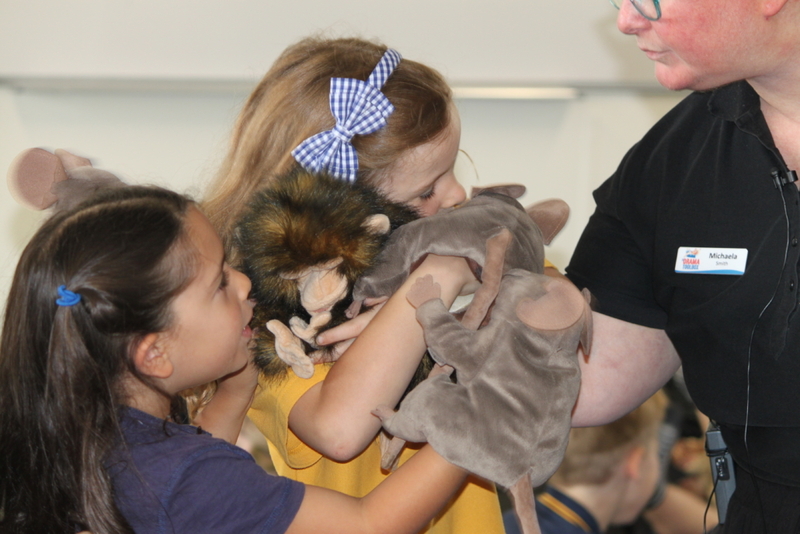 “The wonderful journey that The Drama Toolbox took our Foundation, Year 1 and Year 2 students on during their weekly sessions over 6 weeks was really quite remarkable to witness. 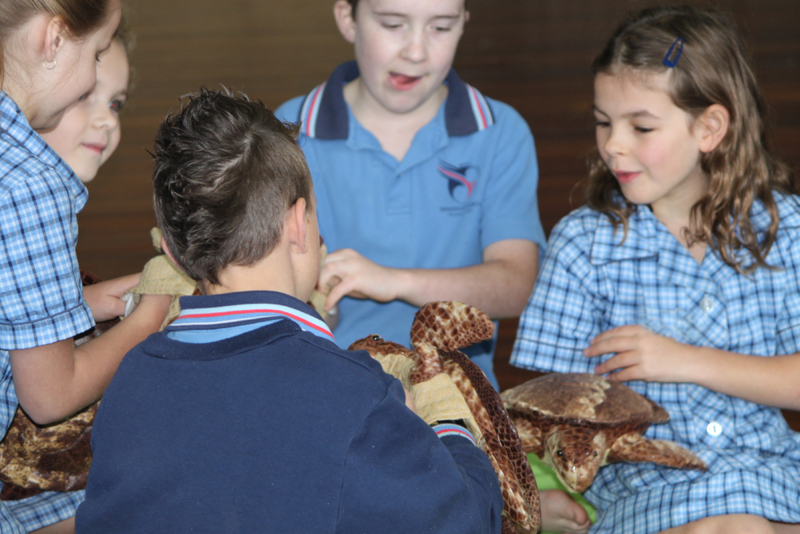 All our students were fully engaged for the entire sessions, even the students with more challenging behaviours. Each week they would be excited to see what events would unfold as they travelled the emotional path of starting school, learning to make friends and choose strategies to help them cope with difficult situations. “Introduction to Wild Primary” series will be held weekly for Foundation and “Filling Our Buckets” series will be held weekly for Years 1&2. “Facing Our Feelings” series will be run in 2020 for those continuing the Seal Program. For classes of Year 1&2 students who have not participated in the Seal program before Lesson 1 from “Introduction to Wild Primary” series will need to be held first. We can accommodate composite classes of Year 1&2. Includes the weekly activity sheets for each participant. 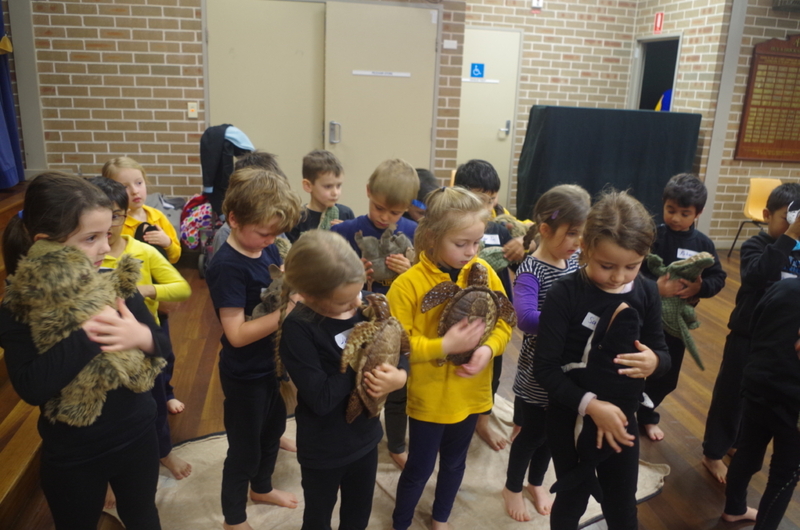 To use at your pre-kinder orientation introducing the children to Seal and her animal friends. A Pre-Program video and colouring sheet to use at your Foundation orientation introducing the children to Seal and her animal friends. “Filling Our Buckets” series will be held weekly for Years 1&2. “Facing Our Feelings” series will be run in 2020 for those continuing the Seal program. For classes of Year 1&2 students who have not participated in the Seal Program before, lesson 1 from the “Introduction to Wild Primary” will need to be held first. Chimp wants to help children take their valuable SEL lessons home! After the Foundation series, children can extend on the lessons they have learnt by taking Chimp home along with a Parent Information Sheet and an Activity Sheet, “What Chimp did at my house”. 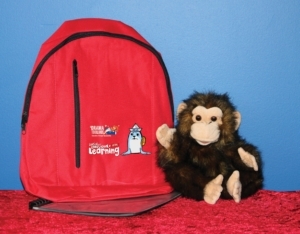 Each set is complete with a Chimp hand puppet, a robust backpage, a folder and activity sheets (supplied as PDFs) for each child to use at home and talk to their family about. Please contact us for more details regarding the Seal Program Packages and Pricing.